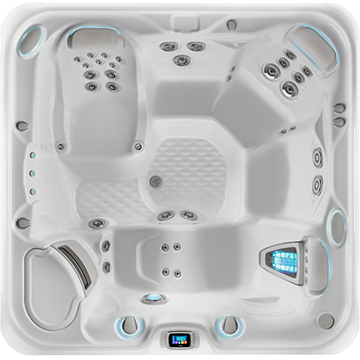 As you'll learn very quickly from watching the featured video on this page, Hot Spring Spas excels in bringing you the latest in spa technology and innovation. 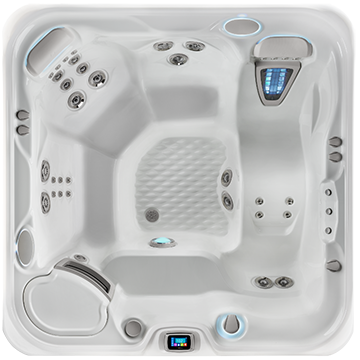 In fact, ever since they were first to introduce hot tubs with moving jets in 1984, they've established themselves as one of the leaders in leisure and relaxation. 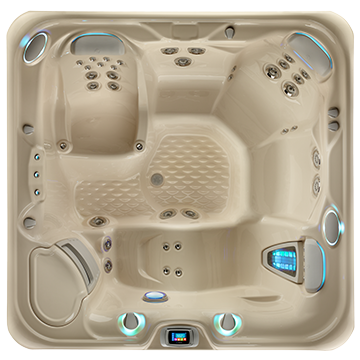 That trend has continued to this day, which is why Seven Seas Pools is thrilled to share their product lines with you. 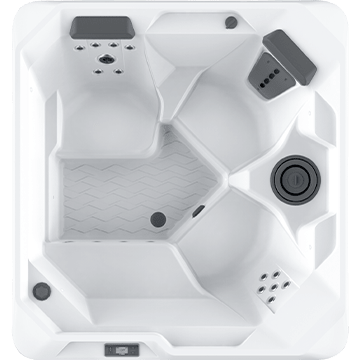 The jets used by Hot Spring Spas are innovatively designed to give you better massages every time you sit in your new hot tub. They use that same innovation when designing the most efficient pumps on the market. 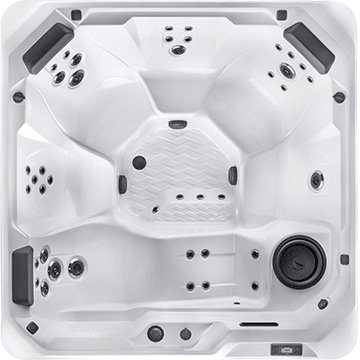 That, coupled with multiple layers of insulation in their covers, ensures Hot Spring hot tubs are Better at Heating Water so you can start relaxing sooner. 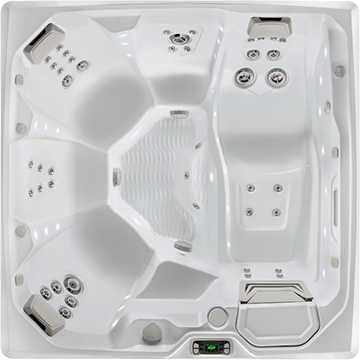 As you’re laid back, allowing the moving jets of your hot tub to massage away the stresses of the day, you’ll begin to notice the revitalizing effects of softer skin. 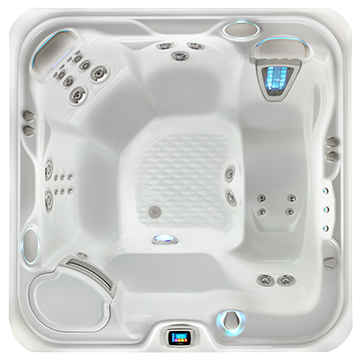 Using their proprietary ACE Salt Water Sanitizing System, Hot Spring’s tubs produce cleaner water by avoiding the use of harsh chemicals often used by other hot tub manufacturers. 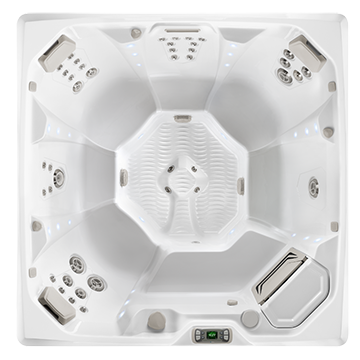 Learn about the unique benefits of Hot Spring Spas product lines below, and get ready to relax. 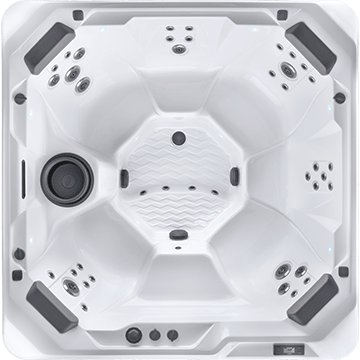 Hot Spring Spas paired up with BMW Group DesignworksUSA to create this stunning new line that revolutionizes the future of spa design. 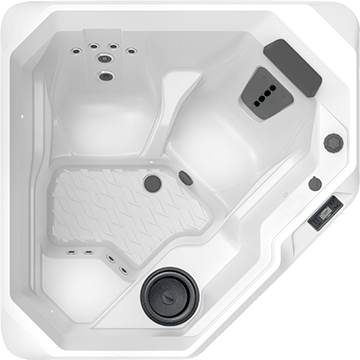 Like the Highlife Collection, the NXT spas offer the highest quality components and exclusive personalization options for your ultimate spa experience. 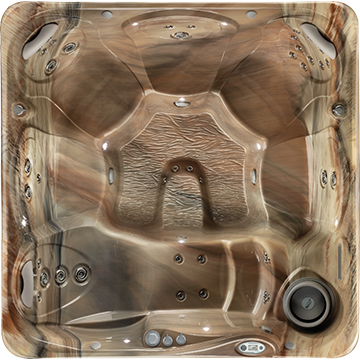 From the sculpted shells and Everwood® HD siding to the jets and other state-of-the-art details, these models feature the same exclusive innovations in massage, energy-efficiency, and water care to make your spa easy to own and operate. What makes the NXT line so special is the entirely new exterior design. Through leading-edge technology, we have achieved a distinctive new look – unlike anything else you will find in a luxury spa. 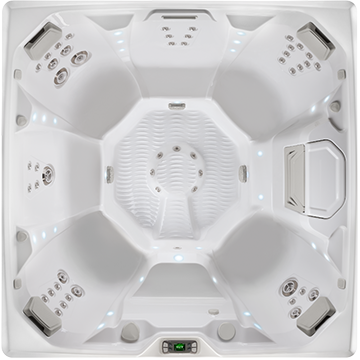 Crafted to provide the ultimate in enjoyment and efficiency, the Highlife Collection offers easy maintenance ensuring more time is spent enjoying your spa. 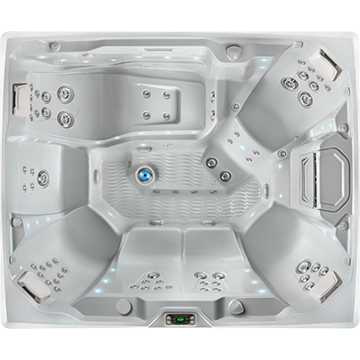 This line of stylish hot tubs include an industry unique 100% no-bypass filtration system, filtering all of the water continually as it re-enters the spa. Soaking in the cleanest water possible offers the ultimate in comfort and refreshment. 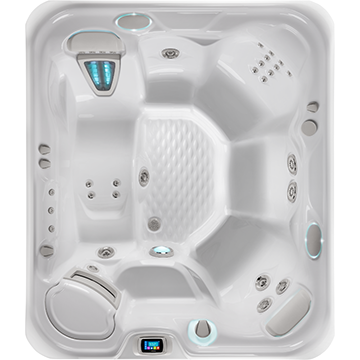 With 8 models and seating ranging from 3 to 7, there’s a hot tub contained in The Highlife Collection suited for you! 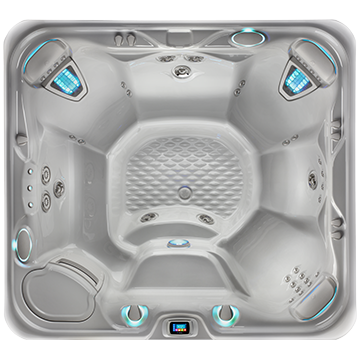 The Limelight Collection is designed with exceptional performance in mind while offering sleek, contemporary style. 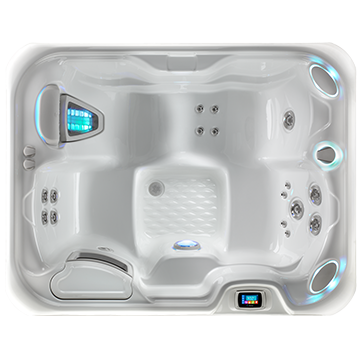 These hot tubs come with multi-colored lighting to help provide the most tranquil setting as well as powerful jets to relief the body’s aches and pains. 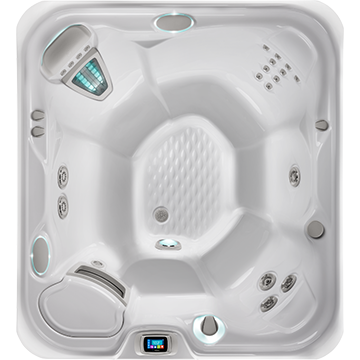 Sophisticated sculpting finishes the shell of these spas, with each detail intended to offer the most comfortable experience for you and your family. 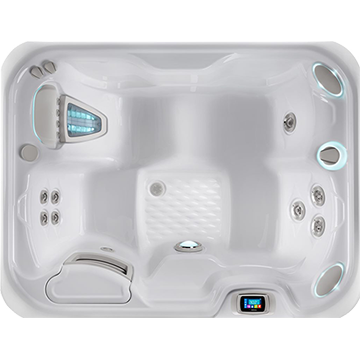 Whether you require a hot tub that can comfortably seat up to 8 or a more intimate spa designed for 4, The Limelight Collection is certain to contain a model that will take your breath away. Whether you’re looking to rejuvenate after a long day, escape to a romantic retreat or reduce stress, Hot Spot spas provide a relaxing retreat at a price you can afford. 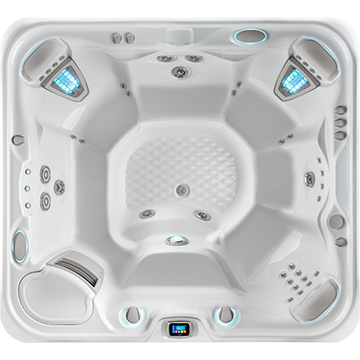 Designed to fit both your budget and lifestyle, Hot Spot spas feature Directional Precision® jets that can be targeted to relieve tension in your neck, shoulders, back, calves, feet and other problem areas.This line of hot tubs can seat from 2 to 7 and offers innovative Energy Smart® features including FiberCor® insulation, custom-designed spa covers that offer a tight seal to lock in heat, and dimmer-controlled LED lights that use less energy. 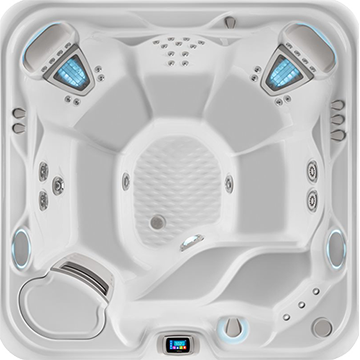 Hot Spot spas allow you to relax both the body and mind with the EverFresh water care system that combines the FreshWater® III CD ozone system, FreshWaterAg+® Silver Ion Cartridge and MPS non-chlorine shock to keep spa water sparkling clean with reduced levels of chlorine. 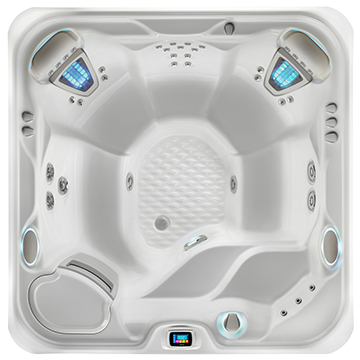 With quality craftsmanship, energy efficiency and easy water care, Hot Spot spas are designed to become a part of your everyday life. 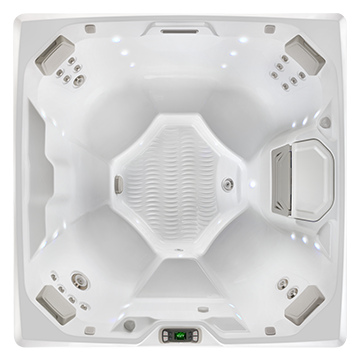 Discover how a hot tub can help you feel your best, every day.